Militants demolished a mausoleum selected to be included on the UN World Heritage list in central Mali, according to AP. The jihadists left a warning, threatening everyone refuting their version of Islam. The Cheick Amadou Barry mausoleum was partially destroyed in the village of Hamdallahi on Sunday night, one of Barry’s descendants, Bologo Amadou Barry, told AP. Barry was an Islamic religious leader in the 19th century responsible for spreading Islam in central Mali. The attackers issued a written threat against all those who do not follow their strict interpretation of Islam. “They also threatened France and the UN peacekeepers and all those who work with them,” Bologo Amadou Barry said. In 2009, the mausoleum was selected to be recognized by UNESCO, the UN’s cultural agency. This latest attack follows a number of similar assaults which took place in northern Mali in 2012 when Islamic militants made gains in several towns in the area. Jihadists ravaged about 16 mausoleums built in honor of Timbuktu’s saints. The pattern of destruction closely resembles that of extremists groups’ in Iraq and Syria, where museums and artifacts have been demolished by the likes of Islamic State (IS, formerly ISIS / ISIL). 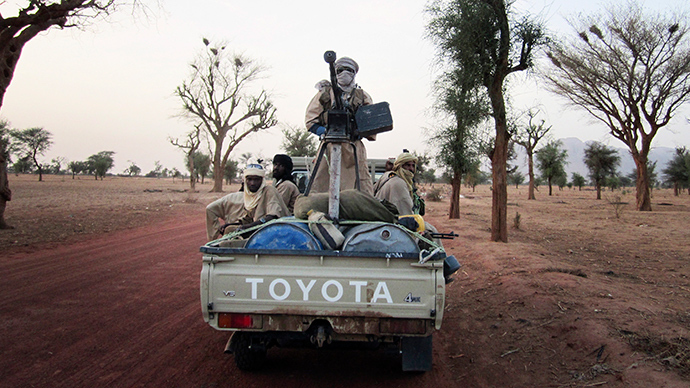 Concerns have been growing in Mali about the rise of extremist groups further south. A newly-emerged jihadist group known as the Liberation of Macina has claimed responsibility for a number of attacks since January. Human Rights Watch also reported that local residents cooperating with French or UN soldiers have received numerous threats. France led a military campaign in Mali in the beginning of 2013 to root out extremists trying to take control of key cities. A UN peacekeeping mission has also been deployed to Mali in an attempt to stabilize the situation. The military campaigns were launched in light of ongoing fears that if Al-Qaeda-linked rebels gain a foothold in Mali, it could become a platform from which to spread throughout the region.